For our organizations to thrive in the 21st Century, now, more so than ever before, it is critical that we open our minds to new cultures and open our world view. Our increasingly globalized world is changing at lightning speed and we interact daily with people from diverse backgrounds who bring with them history, culture, knowledge, skill, and yes – even bias. And that – is a good thing. It’s no longer enough to think solely through our own lenses and filters. It’s time to adopt a world view that is inclusive of all cultures, genders, and viewpoints. It’s time we become Global Citizens! Global Citizenship has nothing to do with what we do for a living, or where we are in the world, but how we care for others. It means embodying three qualities: being present, authentically connecting with others and being inspired by a mission beyond ourselves. It seems our world is becoming nearly one hundred percent addicted to the noise, to external gratification. From continuous checking of smart phones to our self-worth represented by ‘likes’ on Facebook, we’ve lost our ability to simply enjoy the present moment. Calling upon simple mindfulness practices, Bash reminds us of the real power and productivity that come from stepping into the present moment and enjoying our work for the sake of the work itself (not for some reward at the end of the day.) By stepping away from the noise and bringing a more clear and focused self to work, our productivity, fulfillment and ability to help our clients will grow tenfold. In order to achieve real diversity and inclusion within our organization we must adopt a world view that equally values all generations, cultures and perspectives. 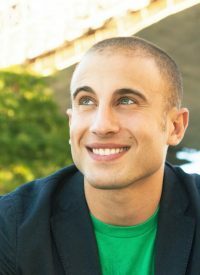 Chris Bashinelli’s all-inclusive approach to relationship building has been cultivated for 30+ years, starting with his “Stoop” in the heart of Brooklyn, where his childhood friends shared a combined total of more than 13 nationalities. 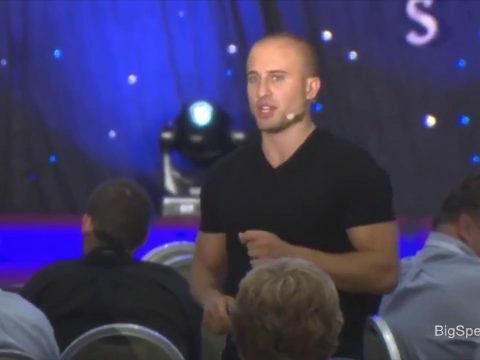 In this signature keynote, Chris drives home the ease of relationship building with a personal, yet universal method he’s applied everywhere from farming with mystics in Uganda to living with nomads in Mongolia. 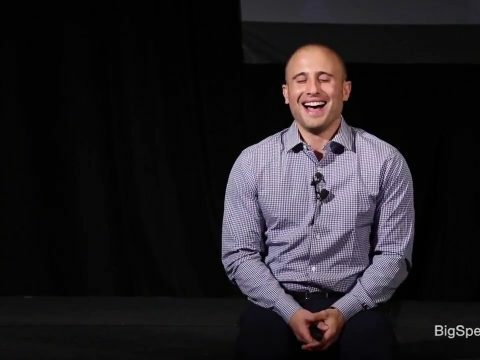 Audience members will learn the three essential steps from the “Stoop” which serve as the basis for profound personal transformation and deep connection with others – Awareness, Acceptance, and Courage! These steps enable people to strengthen their relationship with themselves, co-workers, family, friends – and even those with whom we have no seeming connection – be it a 600 pound Japanese Sumo Wrestler or our next-door neighbor. When we make that human connection and move people from the category of “them” to “us”, anything is possible. There’s never been a more important time to richly hone the relationships that transform lives, bridge gaps, connect generations, and empowers our life experience. By opening our world view we are far more powerful than we could ever be on our own – be it the exchange of tribal knowledge between an experienced team member and a social media-savvy young employee, or the shared core values of an Oklahoma farmer and a Mongolian herdsmen. What is your Step “Z”, the goal you feel will truly bring your life meaning? It could be a new client, a new partner, or a new home. What if you could arrive at that destination before you even begin the journey? We tend to be so fixated on our goal that we forget to examine how we are viewing ourselves. We feel that if our circumstances were different our goal would be attainable. In reality, we can only go as far as our shadow will let us – it’s not the circumstances that have to change, but us. Bash walks attendees through the scientific method for recognizing and reducing their most limiting beliefs, thereby opening the doorway to a whole new world. With total clarity, he emphasizes that the swiftest way to get from where you are, to where you want to be, is to be there first – on the inside. The best way to get from Step “A” to Step “Z” is to Start at Step “Z”. It may seem counterintuitive, but your best chance at achieving your goal is to imagine it is already accomplished. Step firmly with faith into the shoes you were meant to fill – and live, breathe, work and act from that place. From moderating a major United Nations event in Brazil at 23 years old with no prior experience, to leading a National Geographic Expedition in Mongolia when nearly all funding had been pulled one month before production, Bash shows how when we change our mind, we can change our world. The key to creating success lies not in getting what we want, but in realizing that we already have everything we need to live a life of great meaning. When we connect our ultimate goal to a mission that benefits others, and have unwavering faith in our potential, we will find the inspiration necessary to reach our Step “Z”. 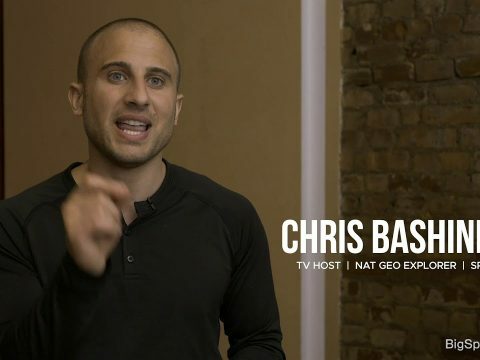 Chris Bashinelli, also known as, “Bash”, was born and raised in Brooklyn, New York. After a decade long acting career including an appearance on the HBO hit television show, The Sopranos, Bash decided to follow his real passion – using media to build bridges between cultures. In his early 20’s, he became the youngest Moderator for the United Nations and made his first documentary about his travels to Tanzania. He now traverses the globe from Uganda to Haiti, as Host of ‘Bridge the Gap,’ a television series featured on PBS and the National Geographic Channel, where he discovers what it’s like to walk in someone else’s shoes. Bash brings attendees on an inspirational journey, coupled with stunning video footage and thought-provoking exercises. He equips us with the practical tools we need to grow our business, connect with other human beings and contribute to humanity. Whether he’s interviewing Dr. Jane Goodall for PBS or embarking on yet another jaw-dropping adventure, he is sure to leave audiences in tears of laughter and joy, allowing them to see the world through a new lens. 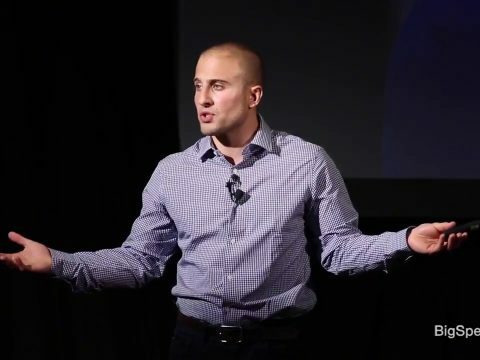 If you’re looking for a vanguard that will engage your audience and make them think differently about their lives and their relationships, then Bash is your speaker. He reminds us how important it is to ignore the noise, step outside of our comfort zones and put others first. He has harvested buffalo with Native Americans in Pine Ridge, lived as a nomad in Mongolia, and Sumo Wrestled with the heaviest Japanese human being in recorded history. 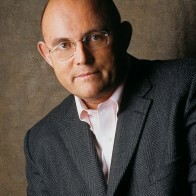 He is a Moderator for the United Nations, an Eagle Scout, a National Geographic Explorer, and has interviewed some of Time Magazine’s 100 Most Influential People on the Planet. Bash has spoken around the world – from TEDx, to Abu Dhabi, to Azerbaijan – at multi-million dollar corporations, Ivy League Universities, and in the United Nations General Assembly Hall. He has shared the stage with Stevie Wonder, Dr. Jane Goodall and the United Nations Secretary General, Ban Ki-moon. Chris presents with a smooth confidence that both sets the tone of the event and captures the attention of the audience. 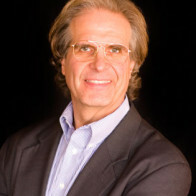 He harnesses the ethos of social entrepreneurship, and would be an asset to any event requiring a quality speaker. Bash offered a very authentic, engaging, and energetic presentation for our conference attendees. He brought many of his valuable life experiences to the table, and though all proved very different, they revolved around one common theme- breaking down barriers and finding a common ground with whomever you engage. Attendees left feeling exhilarated, taking with them many of the principles Bash illustrated back to their local institutions. 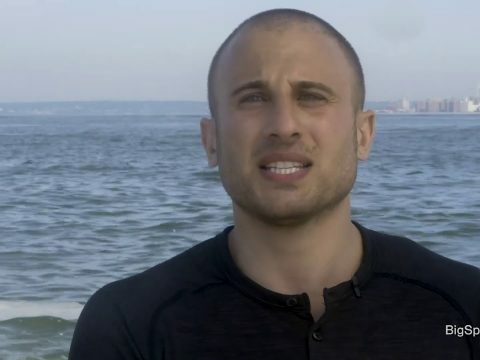 Chris Bashinelli is an inspiration to youth worldwide. He speaks with passion and his message is one of hope, cultural tolerance and call to action. He knows how to reach young and old alike. Bridge the Gap shares exciting and inspirational stories of daily life from the developing world and encourages us to realize that at the end of the day, we really are all the same and every single one of us makes a difference. We need more people like Chris in the world. This felt like the greatest thing in the entire world! The entire presentation touched me. It cleared my head, it touched my heart and it helped me go with my gut. There was nothing in there that I didn’t need to hear. 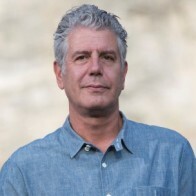 There was nothing in there that I wasn’t frightened of… you helped me learn that happiness lies in serving others…it’s something that I can take with me and I’ll remember every day…to be able to clear the head, stop the noise, and step outside myself- you encouraged that within me. It’s phenomenal. I’ve had the pleasure of witnessing Chris speak on numerous occasions and each time I’m blown away. He is a perfect blend of passionate and compelling, while remaining down to earth and relatable. He knows how to cater his message to different crowds and he never fails to add humor. He is a true artisan with words and a natural leader. I’m excited to see the impact that ‘Bridge the Gap’ will have for this generation and all the ways that Chris Bashinelli will inspire us all to look within, go beyond our comfort zones, and be a voice to those who were otherwise silenced.